The airport security at Benazir Bhutto International Airport has arrested a suspect who was trying to smuggle 1kg of heroin from Pakistan to Saudi Arabia. The suspect has been identified as Fazal Wahid, who was trying to transport the drug, was arrested by the Airport Security Force (ASF). 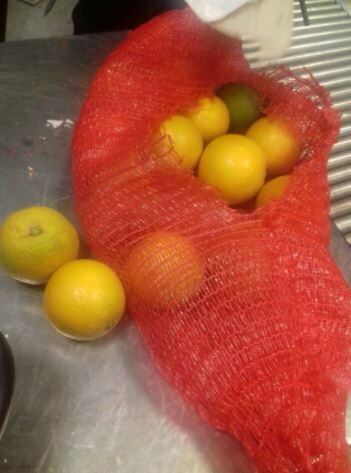 The drugs, that were hidden in a bag of oranges, come in various sizes and shapes and are used for smoking, insufflation and injecting. This is not a new incident for the ASF as multiple bids to smuggle drugs to Saudi Arabia have been busted by the security officials before. In a similar incident, the ASF recovered 786 grams of ice heroin from a Mardan’s resident last month who was traveling to Saudi Arabia. Previously, another drug supplier of Mardan was caught who was trying to smuggle 1kg of ice to Riyadh in a failed attempt. The ASF has captured many criminals in the current year that were trying to smuggle drugs into the Arab country. The police have arrested 16 violators in an ongoing drive against drug suppliers in Sargodha. In several raids, the police have recovered 3,345-gram hashish, 125 liquor bottles, 4 pistols and a gun from the culprits. A woman was also among the accused criminals of the raid. Independent cases have been registered against arrested suppliers for further investigation. bhayo ek baat to batao.. ap tech blog ho ya phir news channel? ye news, news channels k lye chor do.. hr cheez me ghusna zruri nae he.. so sorry for being rude..
kisne bola k ye tech blog hai?